Situated by the picturesque village of Dornie, Eilean Donan Castle is on the main tourist route to the Isle of Skye. Like all visitors to Skye, we made an obligatory photo stop here. Eilean Donan Castle sits on an island where three sea lochs meet – Loch Duich on the left and Loch Long on the right which flows into Loch Alsh. This iconic image of Scotland is one of the most photographed Scottish Highlands castle. 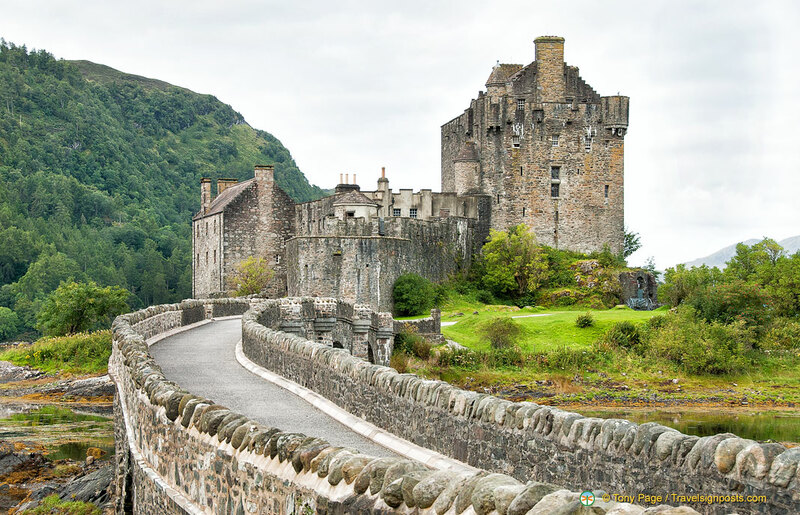 Surrounded by magnificent scenery, it’s no wonder too that Eilean Donan Castle is a popular location for films – the castle has starred in many movies such as James Bond’s The World is Not Enough, The Highlander, Loch Ness, The New Avengers and more. The island on which Eilean Donan Castle sits has been inhabited since 618 when St. Donan lived here. The first fortified castle was built in 1214 by the MacKenzies. With the conflicts and feuds that took place in the Highlands of Scotland, there have been at least four different versions of the castle. It was partially destroyed during the Jacobite Rebellion in 1718 and lay in ruins until John MacRae-Giltrap bought the island in 1911. It took 20 years of toil and labour to restore the castle to its former glory and it was finally re-opened in 1932. 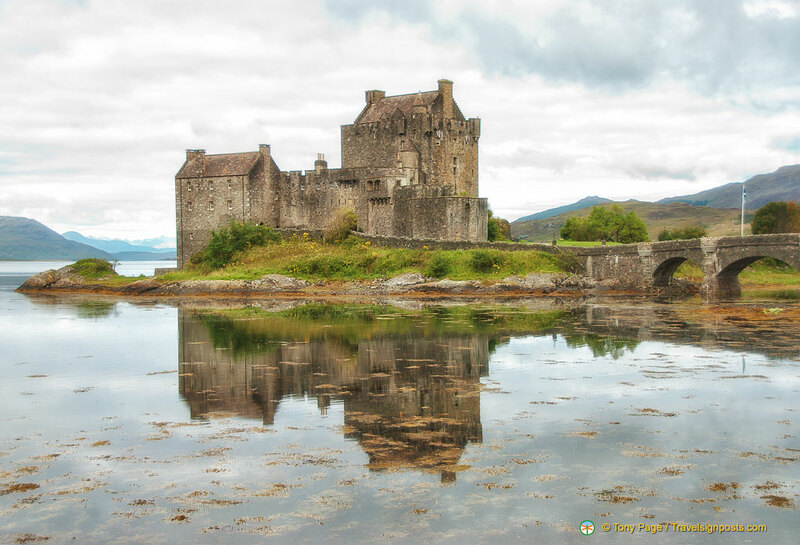 These days Eilean Donan Castle is one of the most visited and important attractions in the Scottish Highlands. The area is a wild life habitat and many animals and birds can be seen here. Some of the reefs in Loch Duich, with its rich variety of seaweeds and even coral, have been designated Areas of Special Marine Conservation. Eilean Donan Castle is also a popular location for weddings. The Castle has a cottage in the grounds that can accommodate four people and is available for weekly hires. If you’re holidaying in Inverness, Edinburgh or Glasgow, a number of tour companies offer day trips up here. I was lucky enough to visit Eilean Donan Castle this summer and i agree it is a great place to visit. the scenery is out of this world and you have to be there to feel it.